Felix, DL5XL will be active again as DP1POL, from Neumayer Station III, Antarctica starting 30 November 2018. He will be active also as DP0POL, DP0POL/MM. Rainer Hilgardt, Hans-Sachs-Weg 38, 64291 Darmstadt, Germany. 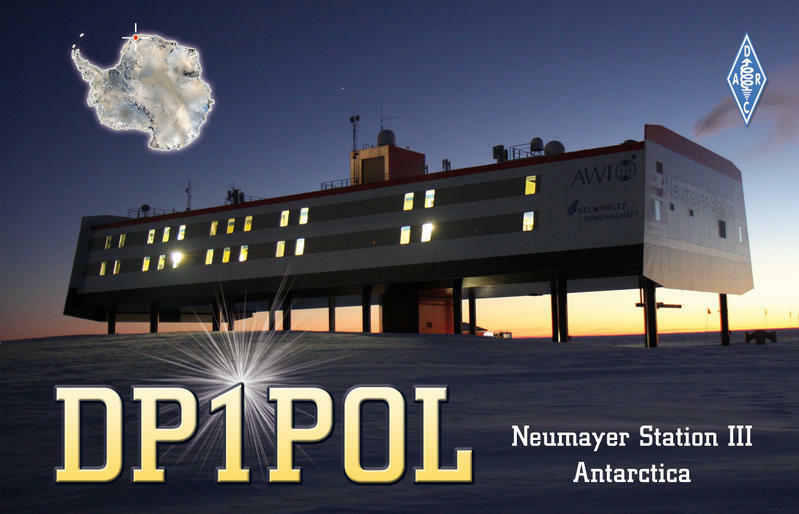 DP1POL is located at the German research station "Neumayer III" in Antarctica, about 1,300 miles North of the South Pole. My home call sign is DL5XL, and I was a member of the 29th Neumayer wintering team as an electronics engineer. The station was officially inaugurated on February 20, 2009. My first assignment at "Neumayer III" lasted from December 2008 to February 2010, and I was back on the air from the same location from December 2011 to February 2012. Another activity is planned from December 2013 to February 2014 - and I hope it will not be the last one! For award hunters, the DXCC country is Antarctica (CE9/KC4), and the IOTA reference is AN-016 (Antarctica mainland). DP1POL is located at 70°41'S, 8°16'W in grid locator field IB59UH, CQ Zone 38, and ITU Zone 67. Contacts are valid for the World Antarctic Program (WAP DEU-08) and the World Flora Fauna Award (WFF DLFF-022). Log Check for the operation from "Neumayer III" is available at Club Log. QSO data is also uploaded to ARRL's Logbook of the World on a regular basis. Neumayer Station III Antarctica, also referred to as Neumayer III, was named after the famous Geo-physicist- Georg Von Neumayer. It is a German research station in the Antarctica, and it is approximately 200 meters in thickness, that was transferred to its present position in the year 2007. The station is located in the southernmost pole of the world, and it is spectacular in every way. The station is widely a comes with a Polar Plateau and it is the coldest place you can every imagine on the planet today. Neumayer Station III Antarctica has remained a center for continuous research since the year 1981. Neumayer Station III Antarctica provides the best opportunity to sojourn life in the coldest region on the planet. Weather conditions here can be described as severe and excruciating. The eastern region of the land is the home of the Polar Plateau, and here you can find the most beautiful and fascinating Polar bears that have continued to flourish despite the harsh weather conditions within the area. To say that the coldest temperatures are located around the Neumayer Station III Antarctica is to say the least, the region is characterized by the ice-bound coast that create some ice shelves that are quite massive to behold, and these shelves are occasionally broken down by ice-free oasis. Aside the clusters of seabirds you can find here, you can also see quite a few number of Penguin colonies. You will also see quite a few number of work stations around here and as a visitor, you will be warmly welcomed. The shores of Neumayer Station III Antarctica are quite difficult to explore, while the ice cap is rarely visited by humans due to their high freezing and dry conditions, however this region is the most suitable for physicists and astronomers. Neumayer Station III Antarctica was finally completed after almost 10 years of work and regular operations could only begin in the year 2009 when environmental impact assessments were carried out. 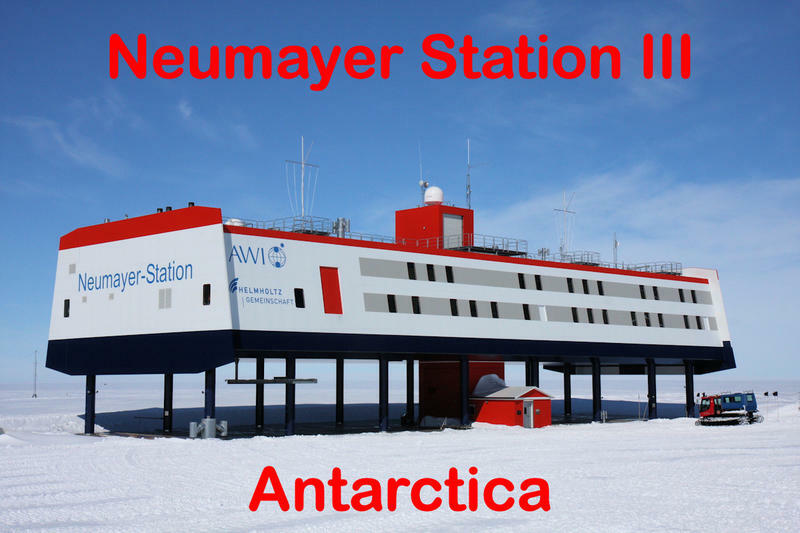 The new Neumayer Station III Antarctica replaced the Neumayer station II, while the expected lifespan of the new station is put at between 25 and 30 years. The cost of making Neumayer Station III Antarctica was put at about 39 million Euros. This is a two-level platform station that has 12 compartments plus another 15 living compartments for visitors to the station. The Neumayer Station III Antarctica runs all through the year therefore you can schedule your visit at any time. The above surface construction of the station was designed on the Antarctica, while the compartment interior have been fully installed with Polyurethane rigid insulators to make it retain more heat within the extremely cold environment. Heavy steel frame was used as the majority of the construction materials, and more than 90 crew members worked on the design and construction of the magnificent station. There are some other 100 interior containers that wouldn’t be affected by the extreme weather conditions. There are quite a number of reasons to consider if you want to visit Neumayer Station III Antarctica. First and foremost, Neumayer Station III Antarctica gives you the opportunity of travelling around the world in few seconds just by the Geographical South pole. The station also provides you with maps of key places you can explore. With Neumayer Station III Antarctica, you can visit the famous Mawson’s home of the Blizzard, which is located at the Commonwealth bay, and you can also go on a tour of the futuristic Amundsen-Scott South Pole station and get educated on various ongoing projects such as “Ice Cube”. In order to minimize the effect of weather conditions on the results of scientific researches carried on inside the station, some small remote stations are set up about 950 to 1,600 meters away from the main station, and from these mini stations, acoustic researches can be performed. It is ideal to take note of the variations of climate conditions in the Antarctica before going to Neumayer Station III Antarctica. Weather recordings indicate that temperatures are lowest in January, even though the mean sunshine hours can reach 186 within the month. Temperatures in January can reach an incredible -45 degree Celsius and could reach -25 degree Celsius between June and August. The region between Neumayer Station III Antarctica record a total of 149 average snowy days a year , with the months of April and May recording most snowy days while February records only 9 snowy days. The average number of rainy days in this region is 2 and these are recorded in the month of January alone. Researches have been carried out in Neumayer Station III Antarctica since 1981 and up till today, most researches are carried out on fields such as Atmospheric chemistry, marine acoustics, Infrasound, meteorology, Geophysics, and several other earth-related researches. Research is not the only thing you can do around here. If you are strong enough to beat the strong weather conditions, then you can enjoy some time playing with the Penguins, and sea birds, likewise you can enjoy some snow weather activities. The Neumayer Station III Antarctica staffs will make your visit more enjoyable, and you should know that all rooms within the Neumayer Station III Antarctica are perfectly insulated; therefore, you will get the adequate warmth you desire. What coverage does Neumayer Station III Antarctica provides? The coverage you get from Neumayer Station III Antarctica will include trips to places of interest , including; Princess Elizabeth Antarctica station, The East Antarctica, Sanae IV, Syowa station & Dome Fuji, Casey Station, Scullin & Murray Monoliths, Mawson station, Lambert Glacier, Concordia station & Dome Charlie, Commonwealth Bay & Cape Denison, and Dome Argus among several others. Danke fur QSO. 73 de Tim GM4CCN. 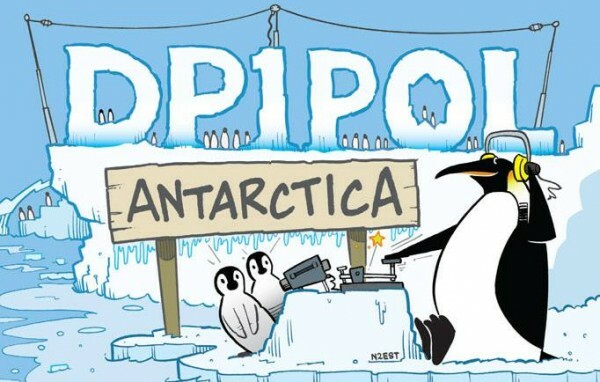 I would just like to point out that I will be active as DP1POL only from Neumayer Station III, Antarctica. The call sign DP0POL is unrelated to that operation. I am retired Canadian Airforce. I have been to the North Pole and have operated my Amateur Station from The Canadian Arctic. What a thrill to visit your station. Only a dream. Keep warm!! VA1DM Doc MacKenzie Nova Scotia Canada. An Antarctica signal is quite the thrill and not routine. Thanks for the extraordinary 20m JT65 signal from the bottom of the world. Our winter has just set in and Antarctica just started spring. Received your Jt65 20 Meter signal 1/2/2015 hearing Antartica is a real thrill. Confirmed on psk reporter.